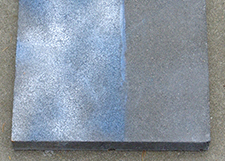 Unicoatings™ UC STONE COAT – OLEO is an oleophobic and hydrophobic coating that protects treated surfaces from damage by oil, water or moisture for up to 7 years. UC STONE COAT – OLEO can be applied to absorbent surfaces, including concrete, sandstone, sand-lime brick, fibre cement, terracotta, clay and mineral plasters, to protect them from water damage. Customers in the buildings and construction markets appreciate the benefits of UC STONE COAT – OLEO; knowing that their assets are protected from damage by oil or water by an easy to apply protective coating. UC STONE COAT – OLEO is a water-based, solvent-free clear coating that protects absorbent surfaces from damage for up to 7 years. 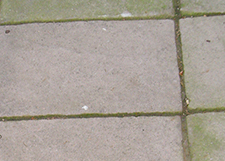 As well as enjoying excellent oil, water and moisture repellent properties, surfaces treated with UC STONE COAT – OLEO remain permeable, so any liquids or gases present in the material can pass through. 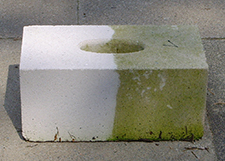 The product also protects concrete surfaces from the penetration of water and pollutants (e.g. 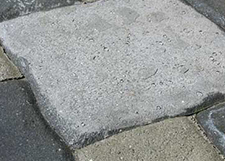 road salt), so that the reinforcing steel within the concrete is also protected from corrosion. 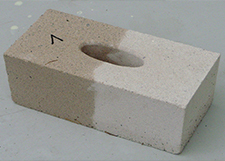 This product is not suitable for use on travertine, natural stone, marble or granite. In order to protect your absorbent mineral surfaces against graffiti attacks, we recommend using UC STONE COAT – ANTI GRAFFITI. The product can be easily applied across the whole surface by brush, spray or flow coating. 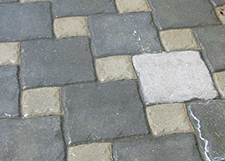 When applying to highly absorbent surfaces, multiple coats can be used to achieve a deeper penetration and protection. As the water repelling effect at the surface of a treated product reduces over time, re-treatments to restore the product’s effect are quick and easy. The product can be stored in its original packaging, away from direct sunlight or frost, for at least 12 months.